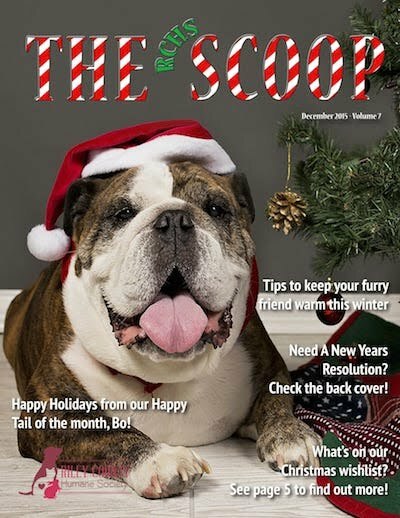 The December 2018 newsletter is here. Check it out at flipsnak or download the pdf directly. 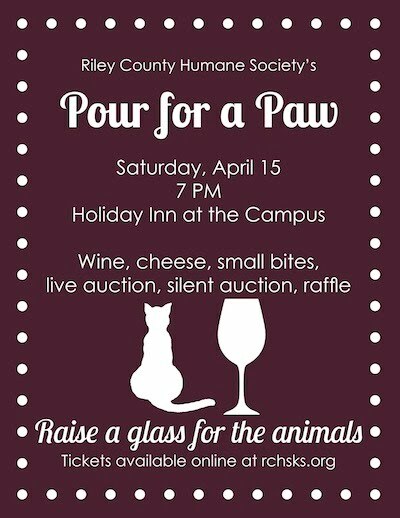 Raise your glass for the Animals on Saturday April 28, 2018 to support the Riley County Humane Society! 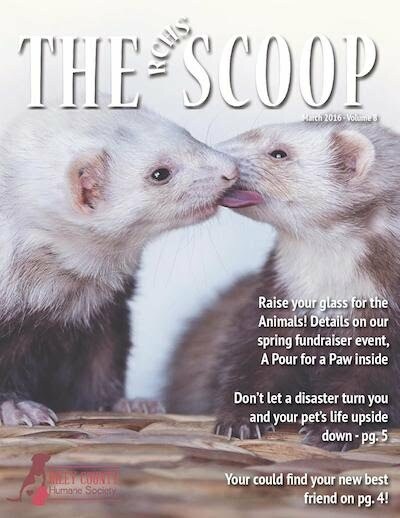 Join us at the Wareham Opera House for the third annual A Pour for A Paw. A Pour for A Paw is a wine and cheese themed fundraiser featuring live and silent auctions, a raffle, and live music. Wine, Cheese, and small bites will be served and a cash bar will be available. All funds raised go directly to the animals! ​This is our biggest fundraiser of the year! Tickets are now available at https://rchsks.ticketleap.com/p4p2018/. Interested in donating to the auctions or raffle? Have any questions? Please contact Liz Lewis at liz@rchsks.org. 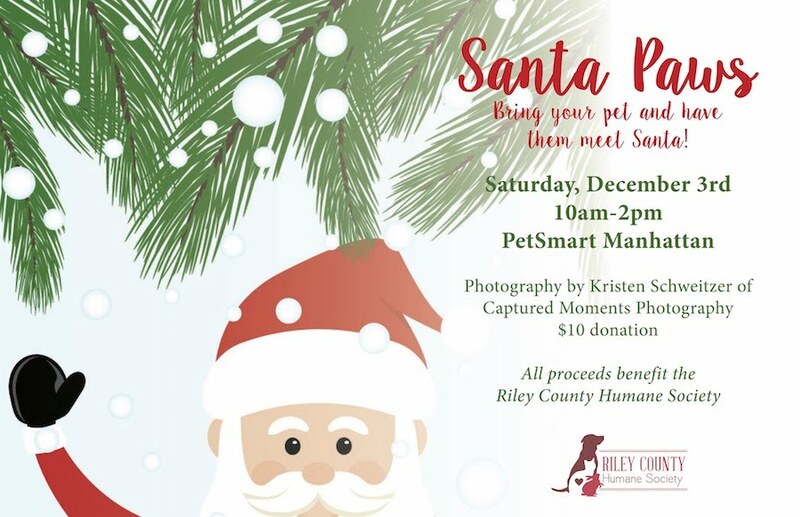 Bring your pets to Petsmart on December 3rd and have their picture taken with Santa Claus! 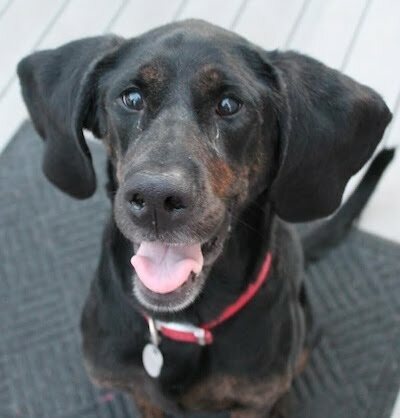 Betsy is a 5 year old hound mix. She is a very friendly girl who loves every new person she meets. Betsy has been living with two terribly infected ears for quite a long time. 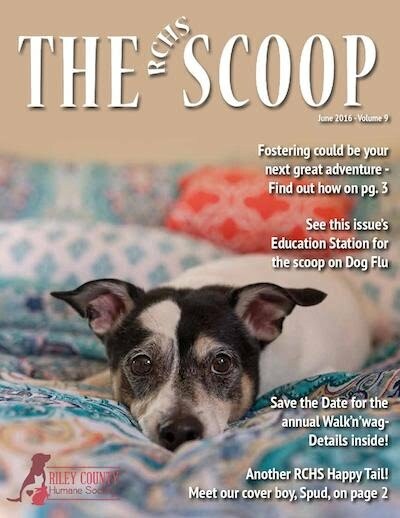 She came in to RCHS after the previous owners had repeatedly tried veterinary recommended routine therapies but the infections did not respond. Realizing that to allow Betsy to continue to live in such chronic pain would be cruel, they knew that they had 2 choices, either euthanize her to relieve her suffering (thankfully that just didn’t seem right) or relinquish her to an organization who could fundraise to provide the expensive treatment Betsy needed and that they could not afford. Thankfully they got in touch with RCHS. The surgery that Betsy needs is a bilateral total ear canal ablation and bulla osteotomy. This procedure essentially removes all the ear structures including the canal but leaves the ear flap unchanged. The round bone behind the ear, called the tympanic bulla (you can feel yours behind your ear), will also be opened and flushed. A normal bulla is hollow and air-filled. Betsy’s are packed with thick pus and bacteria that must be cleaned and rinsed out. Betsy is a really great dog and we thinks she deserves a chance at life, and a life without pain. We hope you will agree and help us cover the cost of Betsy's surgery. No amount is too small. 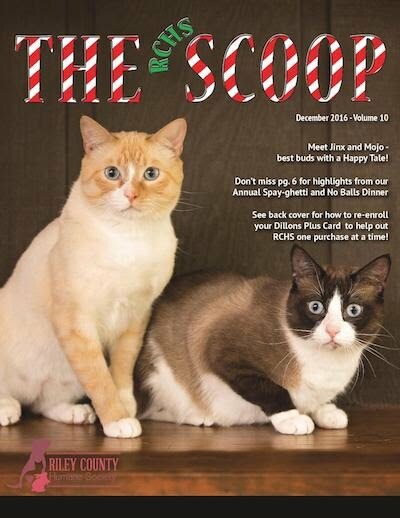 The December 2015 Newsletter is here. Check it out at flipsnak or download the pdf directly.